Bin the turkey, put your baubles down, Christmas ain’t gonna happen this year because #adventcalendargate has spilled into day two of disappointment. Seriously can we just sack off 2018 now? If 2016 was the year all the famous people died then 2018 is the year everyone tried to become famous by posting Katie Hopkins grade outrage on social media about the most trivial things. It hurts me to write this. 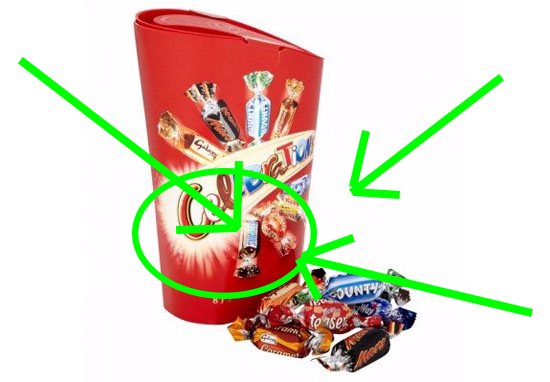 Yesterday’s news of people losing their marbles over ‘a f*cking Bounty’ behind day one’s door of the Celebrations advent calendar was mildly amusing but today’s reveal of a Snickers behind day two seriously has me questioning humanity. No Danny. A Snickers in a Celebrations advent calendar isn’t a cruel joke. It’s a f*cking Snickers. 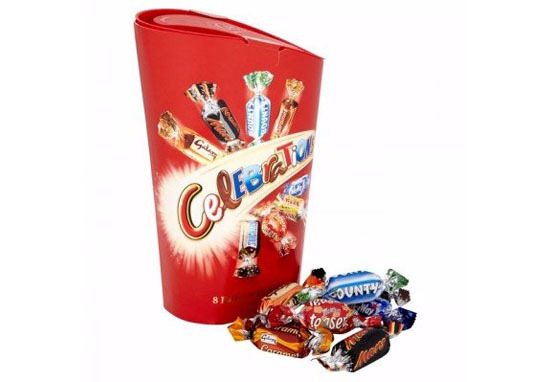 Look at this picture of a box of Celebrations. Look at it really hard. 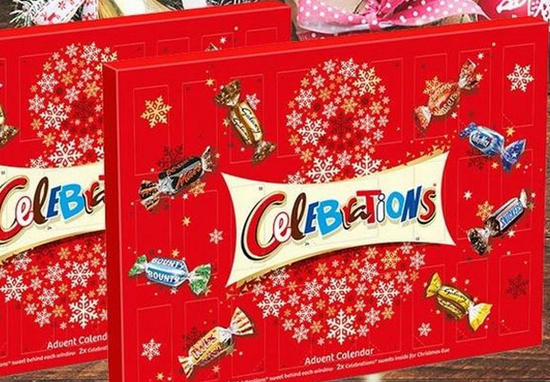 What’s that there under the bit where it says Celebrations? You see that? The first one on the left. Oh yes. That’s a Snickers. Quite literally one eighth of the constituent parts of a Celebrations selection. If it’s not a Mars bar, a Galaxy, a Galaxy Caramel, a Twix, a Milky Way, a Bounty or a Malteser, chances are, it’s going to be a Snickers. I don’t know what you’ve done previously Charlotte but your attempt at taking an unfunny joke and running with it would suggest you’ve woken up, gone on Twitter and unloaded a piece of thought so bereft of originality you shouldn’t be allowed near the internet. The only irony I can take from this whole charade is I’ve been paid for the intellectual bile I’ve just p*ssed into the internet. Think I need a Snickers.